Lunn’s Mill Beer Company will be opening later this month in Lawrencetown, in the heart of Nova Scotia’s Annapolis Valley. Located almost exactly half-way between Digby and Somerset, the brewery will help to serve the population looking to support a small local brewery. Lunn’s Mill is the original name for Lawrencetown, named after John Lunn, who purchased a wood mill lot there in 1760, before being renamed in honour of Lieutenant Governor Charles Lawrence in 1822. Mark Reid and Sean Ebert, along with Chantelle Webb and Chad Graves, are the force behind Lunn’s Mill, and brewer Mark sat down with us to answer some questions about their plans for opening, their brewing system, and beers they’ll be offering. 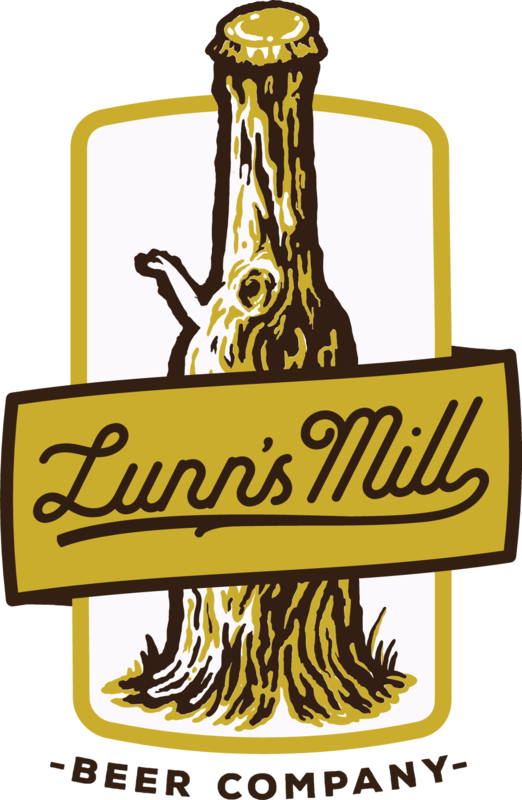 Lunn’s Mill Beer Co. is a partnership of 4 people who live in the Annapolis Valley. Sean and I have been homebrewing all-grain beer together for a few years now, and have toyed with the idea of opening a real brewery for some time. The time never really seemed right, so we just decided to do it anyway. We partnered with Chantelle to focus on food in the taproom and Chad to help with the business side to form an A-Team for the modern age. My interest in craft beer was sparked by a work trip to Belgium which had an unexpected stop at Delirium Cafe in Brussels. That gave me a chance to try a bunch of beer styles I’d never really thought about before, and finding them very enjoyable, I continued branching out and trying different things when I got back home as well. Around 2012, I started brewing all-grain beer, planted a few hop rhizomes in my back yard, and ever since then, brewing and drinking reinforced each other as fun and rewarding activities. All four of us have been increasingly delighted with the quality and variety of local craft beer over the past couple of years. I’d been daydreaming about starting a brewery for several years, and after having the “should we? shouldn’t we?” discussion with Sean enough times we decided that the time would never be better than right now. Craft beer is booming, we’ve got a few recipes dialed in, and our home base is smack in the middle of one of the largest remaining brewery-less areas in the province (Annapolis County). There’s a very strong “support local” culture, and we want to add an excellent local option for beer. What are your plans for distribution? Do you have some initial accounts in the area lined up to serve your beers? We’re planning to roll things out in phases. First is growler fills onsite at the brewery at 515 Carleton Rd (Highway 201), with weekly subscription-based home delivery in the immediate area (Annapolis Royal to Greenwood). Shortly after that, we’ll be opening a taproom, and eventually we’d like to start canning beer – all the cool kids are doing it. We have spoken to a few establishments about tap accounts, but haven’t finalized anything yet. Can you tell us about the beers you will have at launch? We also plan on offering seasonals as capacity permits: harvest brews with hops grown here in the valley, some darker beers for the darker months including a Black IPA and a Porter, easy drinking patio beers for the summer. One thing I’m particularly excited about is what we’re calling the Showcase Series. This is where we hope to offer small batches of a recipe brewed two ways, showcasing one small variation at a time – Cascade vs. Centennial hops, say, or 2-Row vs. Maris Otter, or US-05 yeast vs. Nottingham – one tweak and folks can try them side-by-side to see what difference it makes in the final beer. The potential items to showcase are nearly endless, and our aim is to let people gain a better understanding of the different facets of beer. Lunn’s Mill is using a BIAC (Brew In A Conical) system, where the wort drains/lauters out through the bottom of a colander. Related to Brew In A Bag, a popular technique for homebrewers. You always hear the same answer on this topic – breweries in Nova Scotia are extremely helpful and welcoming – and it’s absolutely true. More specifically though, the folks at Saltbox went above and beyond, giving us a ton of advice early on even when they were extremely busy launching their own business! Boxing Rock graciously invited Sean and I to brew with them after we placed second in last year’s Black Box Challenge (aside: can’t wait to see what this year’s contest brings!) 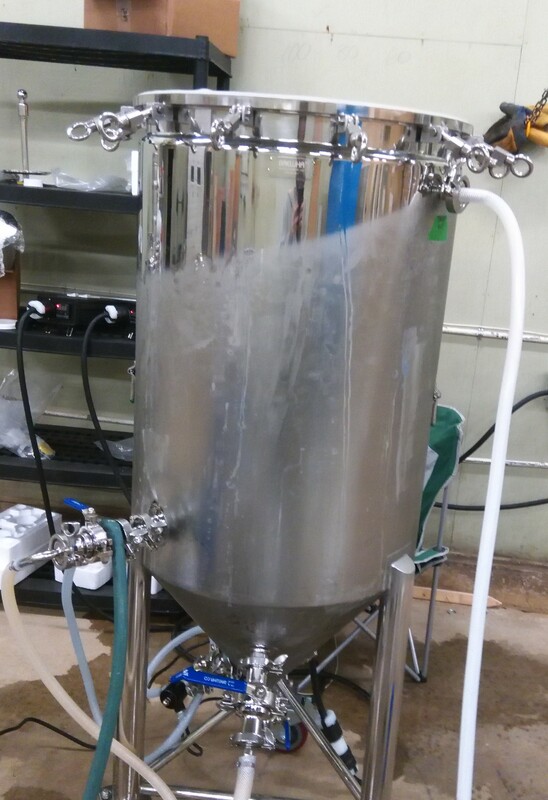 which gave us the bug to take our brewing hobby to the next level. Les Barr at Roof Hound has been great as well with a constant flow of communication, advice, tips and friendly encouragement. Where do you hope to see your brewery in the next few years? We hope to see the overall craft beer industry expand and make further inroads with the broader beer-drinking population. As part of that, we hope to contribute to the diversity and quality of local Nova Scotia products by making exciting beers and building an awesome venue to share them! We’d love to experiment with hyper-local brewing, growing ingredients for the beer (and eventually for the kitchen) right at our facility’s 7-acre riverside property. Our initial brews are bubbling as we speak! We are aiming for a soft launch later this month (February) for growler fills, ramping up as our production capacity permits. Expect to see us at your favourite craft beer events this spring! 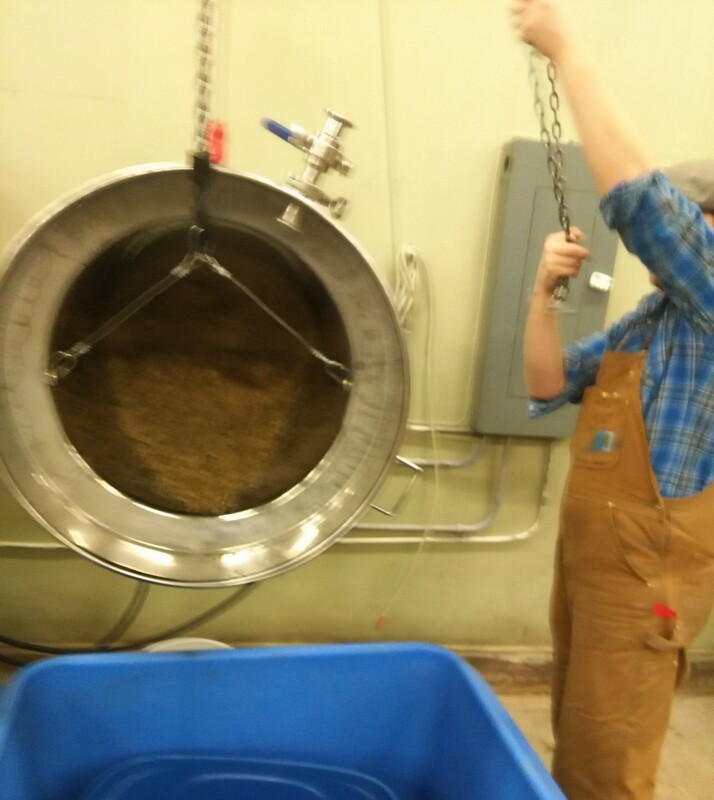 Emptying the colander after the lauter is complete. Right now we’re brewing on a 1.5 barrel system from BREWHA Equipment in Vancouver. I’m not aware of anyone else in Nova Scotia using their BIAC systems, but we love ours so far. We plan to expand to a 5 barrel system in the future, keeping the current gear as a pilot system and for brewing up the showcase recipes. I’ve been home brewing since my university days, though always from those Cooper’s kits. The goal back then was different of course (cheap and tolerable), and things really shifted as I started to drink and enjoy craft beer – I switched to all-grain to see if I could hit a new goal: something delicious that was hard to find locally. I started with the brown ale recipe from John Palmer’s iconic How to Brew book. That very first batch turned out well, and I was hooked. From there I went on to experimenting with different kinds of ingredients, which really sparked the “showcase” idea; brewing up a ton of different SMaSH (Single Malt and Single Hop beers) to figure out the flavour profiles of different hops; then designing recipes to combine them in interesting ways. Sean and I started brewing together about three years ago, brewing our first attempt at a Black IPA. We worked hard on consistency and repeatability, designed several new recipes, and joked about starting a brewery one day. Last year I entered the Boxing Rock Black Box Challenge, and with Sean’s help came in 2nd place with a White IPA called Hop Springs Eternal. We’d never brewed a White IPA, but it turned out good enough for Henry and Emily to want to brew it at a commercial scale. 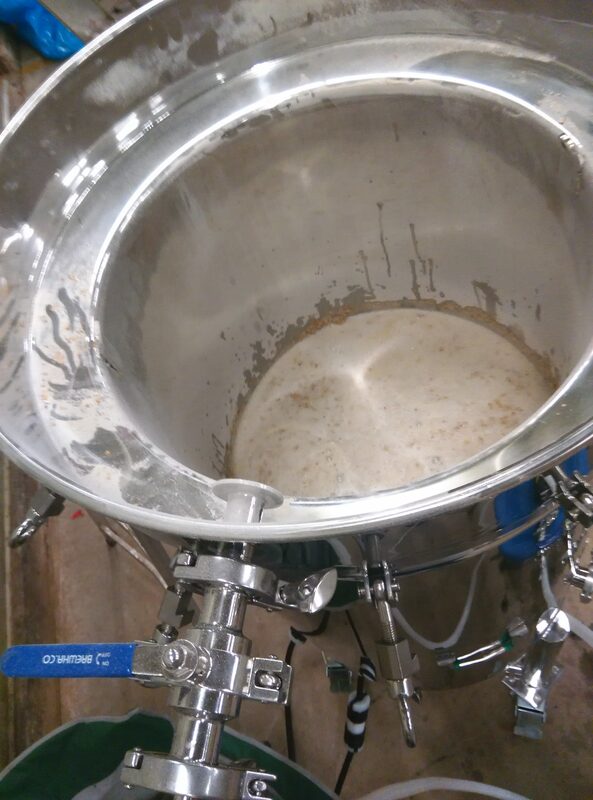 The experience of brewing there was great (all of the fun, none of the responsibility!) and made Sean and I have some less joking, more serious, discussions about ramping up. Between the four of us, we have have quite a broad range of favourite styles. My go-tos are hoppy IPAs and sours. Sean is all over Saisons and IPAs. Chantelle prefers dark beers, but also a good hefeweizen. Chad likes a nice crisp lager or a flavourful pale ale. We are all eager to try a new beer of any style, particularly from here in Nova Scotia. Hmm, nutmeg? Just kidding, that one’s already taken. We tend to stick with traditional ingredients – hops, barley, yeast and water – keeping adjuncts to a minimum, though we do occasionally use oats or wheat in the grain bill as well. One thing during the harvest season that has been a lot of fun is using fresh hops from a farm that’s within walking distance of my home. It’s very satisfying to go from picking the cones to drinking the result. I’d like to say a big thanks to AIRO – they were a huge early supporter and we wouldn’t have gotten this far without them. Thanks also to Geordan at Quarrelsome Yeti for the great work designing our logo. Thanks to Mark and the rest of the Lunn’s Mill crew for spending time with us. Be sure to follow them on Facebook, Twitter, and Instagram for updates on their progress, and those in the area can sign up now for their soon-to-be-launched Growler Delivery service. We’ll be sure to let you know all of the details on their launch later this month, once announced! ← Friday Wrap-Up – News from Copper Bottom Brewing, Montague Brewing, Hammond River, Loyalist City, Boxing Rock, and much more!